Sweet potato fries are a sweet and crispy occasional indulgence that anyone can enjoy without guilt. Yes, deep frying sweet potatoes adds calories and fat, but they are still high in vitamin A and cooking them yourself means you control what kind of oil is used and how much salt is added. Fried sweet potatoes are not difficult to make, but they do take a bit of prep work. It’s also a good idea not to skip the soaking stage, because removing a little of the starch makes them lighter and more crisp. 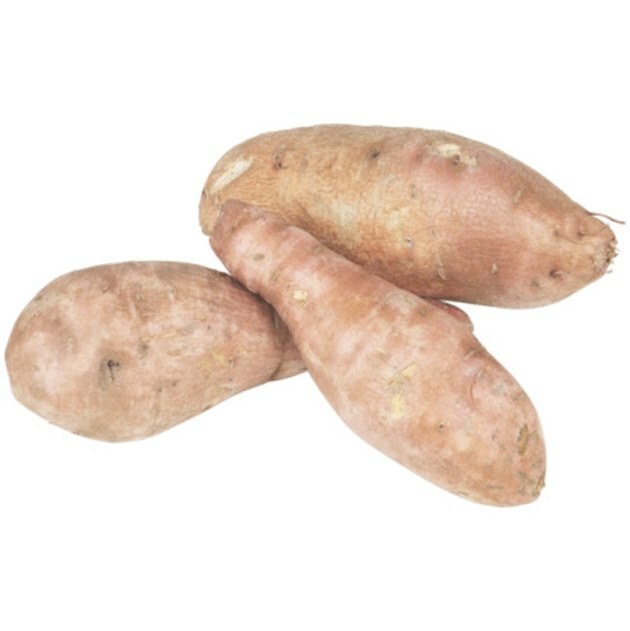 Wash the sweet potatoes in cold water. Cut the ends off and then peel the potatoes with a vegetable peeler or a knife. Slice the sweet potatoes lengthwise into French fry shapes, or push them through a French fry cutter, if you want them to be more uniform. Soak the sliced fries in ice water while you fill the deep fryer about halfway full of canola or vegetable oil and bring the heat up to 375 degrees Fahrenheit. Drain and dry the sweet potato slices completely. Any water left on them may splatter when you add them to the hot oil, so be thorough. Place the sweet potatoes into the hot oil in small batches and let them fry until they just start to turn a deeper golden brown, about four to six minutes. Scoop the finished fries out onto a plate lined with a paper towel and sprinkle them with salt. Add chili powder if you like a little extra bite. Continue frying the sweet potatoes in small batches until they are all done. Serve them immediately, because they are best when they’re fresh and hot. Serve fresh sweet potato fries with low-fat bleu cheese dressing for a sweet and tangy treat. Never use olive oil in a deep fryer, because it burns at a lower temperature than canola or vegetable oil.